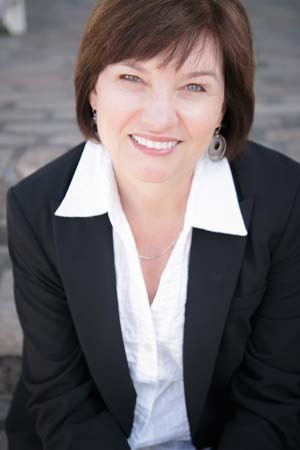 Matilda started working in voice-over in 1992, doing Real Estate Shows and Auto Shows for local cable television. In 1996, the lure of voiceover led her to pack her bags and return to L.A., her birthplace and early childhood home. At this point in her career, Matilda is blessed to know she can live and work from Anywhere! 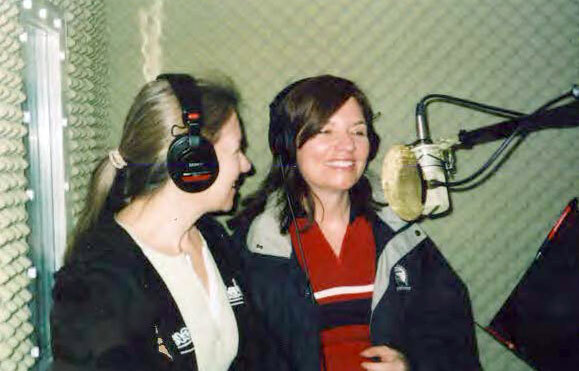 She has worked in nearly every facet of the industry, and has recorded numerous local and regional spots for radio and tv around the country — as well as working with clients overseas. 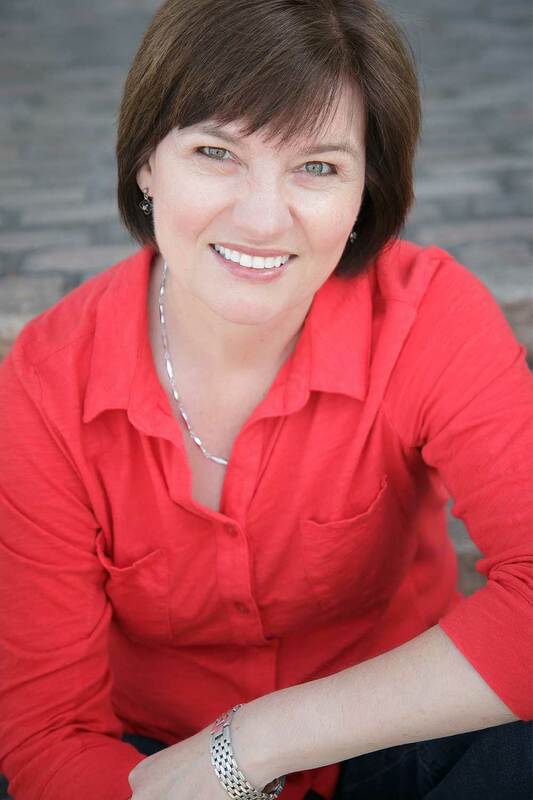 Matilda is a member of the World-Voices Organization (WoVo) Inc., and is also a narrator with the Audiobook Publishers Association (APA). She uses all manner of delivery style, accent, voice age etc., in her work. Turn-Around is Quick and client satisfaction Guaranteed. With an Undergraduate degree in Education, and experience working with ages Preschool – Community College level prior to obtaining a Masters in Communication, Matilda is exceptionally well suited to eLearning projects and all manner of business trainings. Matilda’s background in education also served her well as she provided lead female narration for Common Core Teacher Training. And though she no longer uses German on a daily basis, Matilda very much enjoyed narrating the Cities Talking tours of Salzburg and Vienna with an Austrian accent. Matilda loves narrating books. She has also associate produced and directed —with Directorial Debut “Pushkin and the Queen of Spades” helping earn it’s Debuting Narrator, Lisa Renee Pitts, an Earphones award. As a little girl, I always loved to read! From the time we were tiny, my siblings and I sang together in church – and I discovered that not only did I Love to harmonize with my brothers and sister, but I Loved it when the people applauded for us! I was chosen to play Gretel in a grade-school production of Hansel & Gretel, and that fueled a love of acting that I followed all the way to my Graduate Degree in Drama and beyond. 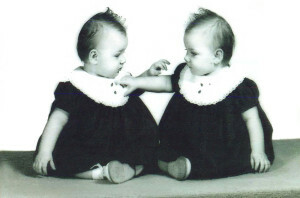 My twin sister and I invented a Time Machine game when we were very small, because we loved to Pretend and go back in time. We had fun with that well into our teens. In the 9th grade, I was introduced to Oral Interpretation, and absolutely Loved it. I chose my college not only because I felt the need to pursue a “realistic career” in education (where at least I could still read to the kids), but because they had a great Drama Department and had just built a brand new theatre! By my senior year of undergrad, I knew that what I really wanted was to pursue Acting. Happily, that worked out! 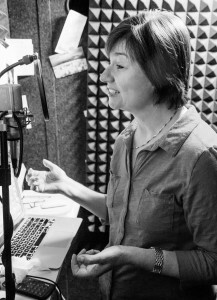 Love of reading, pretending, harmonizing, Bringing Words to Life —- It makes sense that my path ultimately led to Voiceover. Voiceover isn’t just “work” to me. It’s a Passion. I will take the Heart you put into your written words and infuse them with the wings of Voice. Matilda has helped me out with a number of important and very successful projects! Excellent performances and reliably rapid turnarounds make her one of my ‘GO-TO’ voice actors! Working with Matilda has been a worry free experience and I’ll definitely recommend her for more projects!